I want to thank our fine sponsors for helping us keep the show going. If you are in need of any of these products or services; please click on the logo links below. IN THE U.S. please click on the photo / link at the top of the page. A revolutionary way to deliver melatonin, caffeine, or vitamin B-12 DIRECTLY into your blood stream. Introducing disposable non nicotine, non toxin vape pens to help you: sleep, stay awake, or convert food into energy. Be sure to click on the photo link below for a 10% discount PLUS free shipping (to the U.S.). Inhale Health: The most effective way to get your daily dose of Melatonin, Caffeine, or Vitamin B12. Pure Vitamin Club’s Sub-lingual B-12 Tabs are the only sublingual B-12 supplement that doesn’t contain binders and fillers, and delivers 2,000 mcg of Methylcobalamin (the B-12 form nature intended) directly to where it’s needed by dissolving tastelessly under your tongue. Click on the photo/link below for more information. Thank you to, Pear Analytics. Geniuses at SEO. Click on the logo/ link below to make your website SEEN. DollarShaveClub. Great razors, straight to your mailbox, no hassle. Click on the logo/link below to get started. 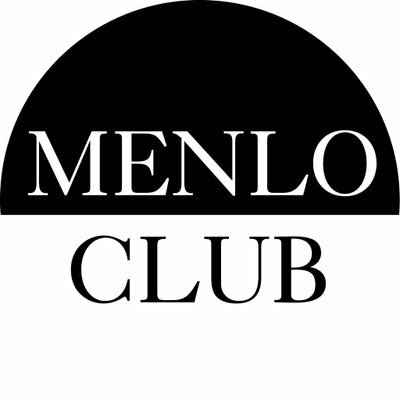 MenloClub. Wonderfully curated stylish clothes. Monthly delivery, NEVER the same, NEVER disappointing. Click the logo / link below to sign up. Be sure to use promo code ‘FSP’ at checkout to get this month’s amazing deal. MeUndies. I wear MeUndies. I LOVE MeUndies! Get a subscription OR get a single pair. Click the logo / link below for 20% off your first order! Uber. Need a ride? Click on the logo / link below and receive $5 OFF OF YOUR FIRST 3 RIDES! Squeaky Clean SA. Window washing service. Residential window washing for the Greater San Antonio Area. Click on the logo / link below to get more information. Mention Fascination Street Podcast in the comments and get $100 OFF of your FIRST whole house window cleaning. (in & out or outside only). The Monarch Team. if you are looking to buy or sell a home outside of the DFW area look no further! The Monarch Team services: Flower Mound, Highland Village, Grapevine, Southlake, & More. Click on the logo / link below and tell ’em you heard about them HERE! G-RO. G-RO is an AMAZING piece of luggage. it has the largest capacity of ANY CARRY ON and has optional geo tracker and on board rechargeable battery. This battery will charge laptops, tablets, or phones. Rugged, and easy to maneuver with all terrain wheels. Click on the photo / link below for $50 dollars off! DE2 Images. My FRIEND, photographer Darryl Edwards, loves taking photos; and he is REALLY GOOD at it. Let him help you save your memories, mark your special occasions, and announce your good news. Click on the photo / link to see some of his work, and schedule a time to discuss your special event. Let him know you heard about him here!